A host of the biggest and brightest stars in classical music are gearing up for their performances at the Royal Albert Hall on 2 October at the Classic BRITs - check out the line-up! 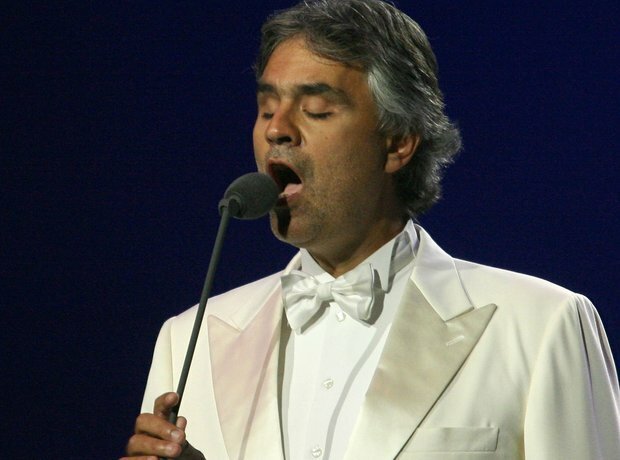 Confirmed as performing at this year's Classic BRITs, Andrea Bocelli will be named international artist of the year to celebrate his 20-year career. The most nominated British female in the Classic BRIT Awards, the talented violinist is up for Female Artist of the Year this year. She'll also be performing on stage. He performed on the official Olympic single with Kimberly Walsh, and now he's nominated for Classic FM's Album of the Year in association with MasterCard. André won the Album of the Year award at the Classic BRITs 2011, with Moonlight Serenade, recorded with the Johann Strauss Orchestra, so it's only right that we hear a performance from him! Miloš Karadaglić is nominated for two Classic BRIT Awards this year: MasterCard Breakthrough Artist of the Year for 'Latino', and Album of the Year for 'The Guitar'. It's the first time a single has been nominated at the BRITs and the Classic BRITs, and now the Military Wives are performing at the Royal Albert Hall on 2 October. A whirlwind year! Andrew Lloyd Webber collaborated with Gary Barlow to write the song 'Sing', featuring the Military Wives, and Gareth Malone. We'll have the pleasure of seeing all the artists reunited at the Classic BRITs this year. Perhaps not an artist who immediately springs to mind as a classical performer, Gary Barlow will be playing one of two grand pianos on stage at the Royal Albert Hall - opposite none other than Lord Lloyd Webber. Gareth Malone is set to conduct the special reunion performance of 'Sing', live from the Royal Albert Hall. He's also nominated for an award with the Military Wives! The cast of the hit musical will treat the audience to a special arrangement of music from the show, with soloists Ramin Karimloo and Sierra Boggess. John Williams is the winner of a Lifetime Achievement award at this year's Classic BRITs. To celebrate his award, the London Chamber Orchestra, conducted by James Morgan, will treat the audience to a musical montage of his best film music.